Most doctors agree that a healthy balanced diet is the best way to lose weight or maintain it if you are already at a healthy weight. There are always lots of diets in the media which promise quick results, but many of these cut out entire food groups or severely limit intake of certain foods which could leave people who chose to follow them at risk of nutritional deficiencies. Seeded breads will be slightly higher in calories and fat because of the nutritious oils contained in the seeds but all bread is indeed good for you. Is there a sensible eating plan that I can follow which offers realistic and sustained weight loss? Yes. We have created the Vitality Eating System. It consists of a 14 day weight loss plan which has been developed by a nutritionist with the aim of enabling realistic and sustainable weight loss. It advocates a low fat balanced diet including complex carbohydrates such as bread, cereals and pasta, plus protein, fruit and vegetables. It therefore provides a healthy alternative to yo-yo and fad dieting. Bursting with flavour and fresh seasonal ingredients, the menu plans are simple to cook and low in fat. The eating plan, advocates a low fat balanced diet including complex carbohydrates such as bread, cereals and pasta, plus protein, fruit and vegetables. It provides a healthy alternative to yo-yo and fad dieting. Fiona Hunter, the top nutritionist and health writer who created the plan, said: “The Vitality Eating System provides a healthy long-term option to faddy ‘quick fix’ diets and is based upon effective proven strategies for tackling weight loss. Focusing on regular activity and balanced eating, it’s the key to losing weight and keeping it off. This 14-day eating plan is flexible and practical and the weight loss is achievable and realistic”. 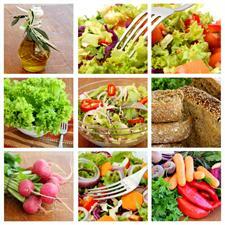 The Vitality Eating System is an eating plan for life as it is low in fat and based on a healthy balanced diet. Easy to follow and flexible, the plan will prevent you from missing out on important nutrients. Weight loss will be slow and steady but research demonstrates that consumers are more likely to keep the weight off. You can download a copy of our weight loss plan below either as a full 14 day plan, or alternatively you can pick and choose two, week-long weight loss plans from the six that we have on offer. How can I keep the weight off once I’ve lost it? A recent Department of Health statement suggested that a reduction of 24 calories a day would be enough to prevent weight gain in 90% of the UK population. That’s only one less cup of instant coffee with semi skimmed milk a day! We would suggest that you continue to eat a healthy, balanced diet and exercise regularly, perhaps by following one of our two weight management plans to ensure that you continue to get all of the nutrients that your body needs. They even include healthy desserts!